A powerful Qadiran trade prince has died, and faction leader Aaqir al’Hakam rushes to his homeland to attend his mentor’s funeral. As an act of support, the Pathfinder Society sends the PCs as representatives to the event; however the death of such an influential merchant and politician has created a considerable power vacuum, and ambitious acquaintances from across the Inner Sea are in attendance to pay their respects, claim a piece of the trade prince’s legacy, and undercut their rivals’ attempts to do the same. Can the Pathfinders keep this somber event from spiraling into a bloodbath? 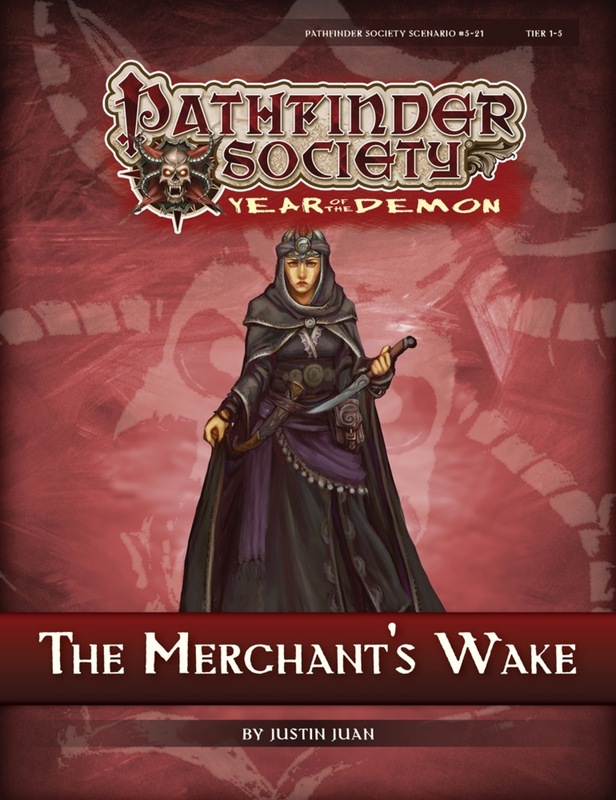 Content in “The Merchant’s Wake” also contributes directly to the ongoing storyline of the Qadira faction. Viimeksi muokannut Ninja Tuna, 13 Kesä 2018, 23:50. Yhteensä muokattu 2 kertaa. Veto takaisin, uusi peli-ilmo onkin the Merchant's Wake, koska niin moni oli pelannut Mist of Mwangin. Otetaan Mwangi sitten taas syssyllä jos ja kun on enemmän uusia pelaajia. Kiitos hyvästä huomiosta. Uuu! Toivottavasti Kraakku oli vielä level 5 et pääsis sillä mukaan! Hienoa, että tulee uusia pelaajia taas mukaan! Tervetuloa!!! Näköjään vielä mahtuu viela eli mukaan.